A few years ago came across Aquamarine Hotel and fell in love with the place and the people who run it. Aquamarine is a three star newly-built hotel, just a few meters from the idyllic and sandy beach of Neratziona. 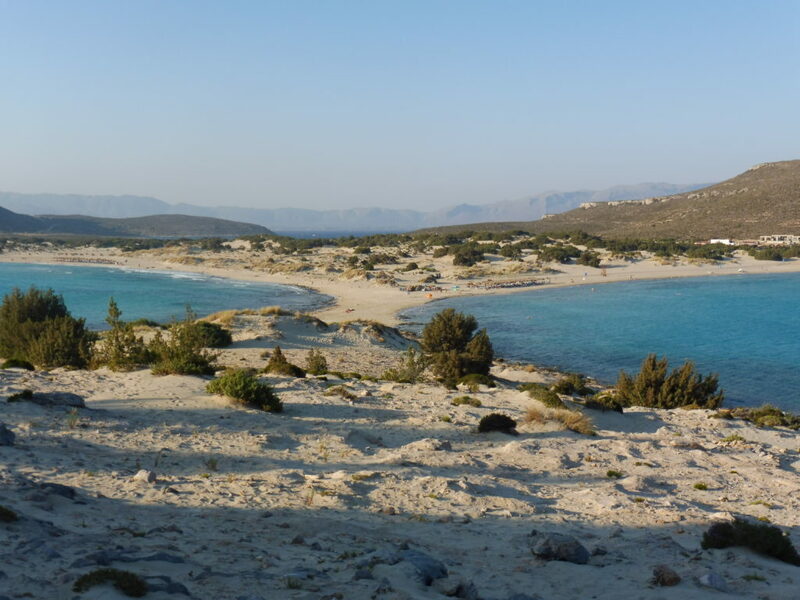 Not far away, there is the well-known beach of Pounta as well as the island of Elafonisos with its notorious beach of Simos. 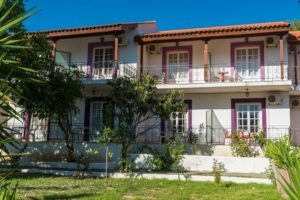 Aquamarine hotel is located at Kampos village (after the village of AgioiApostoloi), a few kilometers from the city of Neapolis, in Laconia prefecture. Within walking distance you can swim at the beach of Neratziona with its golden white sand and the emerald sea water and enjoy your refreshment at the nearby beach bar. The accommodation is beautiful, set amidst a breath-taking landscape. The Terra Mare Hotel was constructed in the fashion of a small village where people could enjoy a more relaxing and peaceful holiday. There total of 12 buildings situated amongst 2000sq. m of land, the garden is full of flowers and olive and fruit trees. There is a swimming pool (25m) with a lounge area and pool bathrooms. Our restaurant is famous all over the island for the fabulous and delicious food it serves. 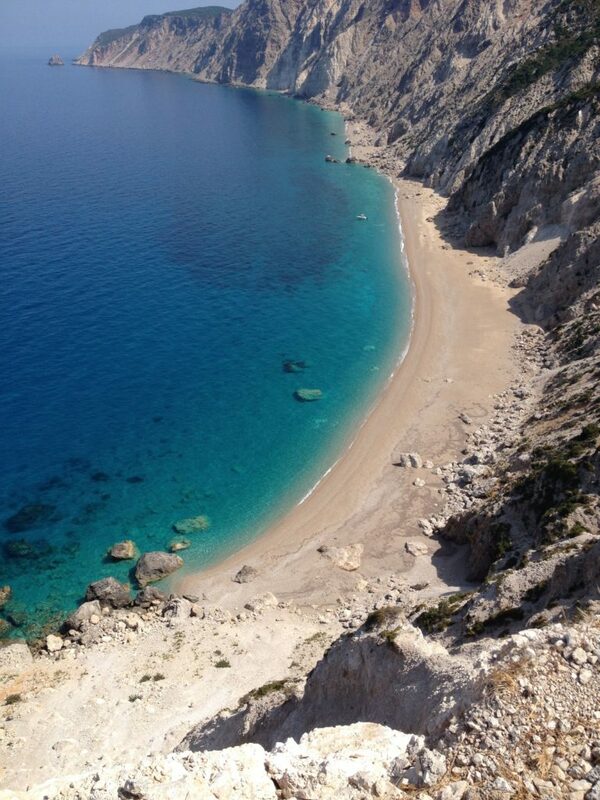 The main island of the Ionian Islands is Kephalonia . The town of Argostoli is the biggest of the island and Lixouri is the second major settlement. The island has a rich biodiversity, with a substantial number of endemic and rare species..
the numerous beaches some of which of stunning beauty. Two cultural attractions, the picturesque fishing villages of Fiscardo and Assos, and various natural attractions, including Melissani underground lake, Drogarati cave and Myrtos beach, have helped popularize Cephalonia. Cephalonia has one airport, Kefalonia Island International Airport, located about 10 km (6 mi) south of Argostoli. This time we are changing location, we are moving away from the golden beaches and turquoise waters of Greece and from the wonder of the Tuscan countryside. 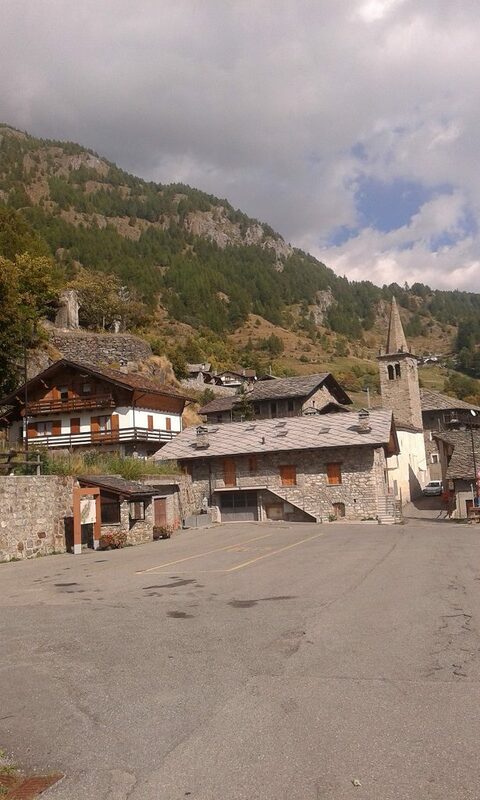 We are heading for a truly peaceful location in the Alps of the Aosta Valley, close to the Swiss Border. We invite you to practice yoga, meditation, chanting and walking, in this three days retreat with a complete new flavor. This is for true mountain lovers willing to experience the real hiker life style in a very simple set-up. 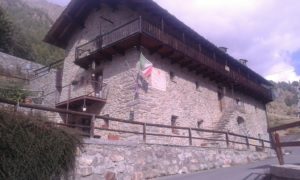 La Batise Hostel is situated in Bionaz, a small village in Valpelline, one of the most attractive and probably wildest valleys in the Aosta Valley region. Here there are no ski lifts for skiers, and this has helped keep the soul of the place: you will be captivated by its people’s simplicity and warmth, and willing to go deep into its rural tradition , which still now exists in its worth visiting mountain diary farms and cowsheds. In the summer time, those who just want to relax in this peaceful environment will find the mountains in the area ideal for hiking along old paths in the woods, and experts or high mountain lovers will be able to undertake more daring activities, and have a break at one of the several alpine refuges, either to spend the night or just to enjoy a good lunch. 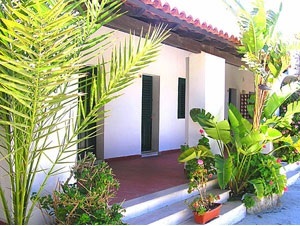 The hostel building was originally built in 1795 and fully remodelled in 2000 for the Jubilee. 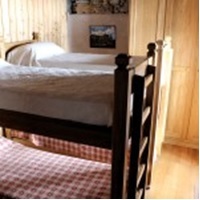 It offers rooms with 2 and 4 beds for couples and families, and dormitories with 6 and 12 beds for groups. It has a spacious living room, a library corner and a cosy sitting room. The Hostel is almost like a mountain refuge and the occupancy are all with 4, 6 or more beds so you’ll need to be a real adaptable person. Clean sheets and towels are provided. Our cuisine is very simple, we use only fresh and locally grown produce. We buy all we need from small local farms and some we even grow our self. The bread is homemade and we have our own free range eggs. As we are not entirely self sufficient we have to buy some food from in town but we take great care in choosing whenever possible, organic products. We do not eat meat so we serve only vegetarian meals. Please let us know if you have any special needs or requirements. Il Roccone è lo sperone di roccia dove sorge da oltre un secolo e mezzo il Casale il Roccone, al centro della Riserva naturale del Pigelleto, ai piedi del Monte Amiata, in provincia di Siena. Si tratta di uno dei luoghi più selvaggi e tranquilli della Toscana, tra la Val d’ Orcia e la Maremma. Il Casale , appena ristrutturato, può ospitare 16 persone ed è articolato in ampi spazi interni. La proprietà comprende 130 ettari di bosco secolare attraversato da sentieri guidati, con un clima molto fresco d’estate perché la proprietà è situata a 800 mt di altitudine. Il podere, che si raggiunge attraverso una strada sterrata a tornanti lunga 2 km, è immerso nella natura incontaminata ed è adatto esclusivamente a chi si sente a suo agio in habitat naturali. 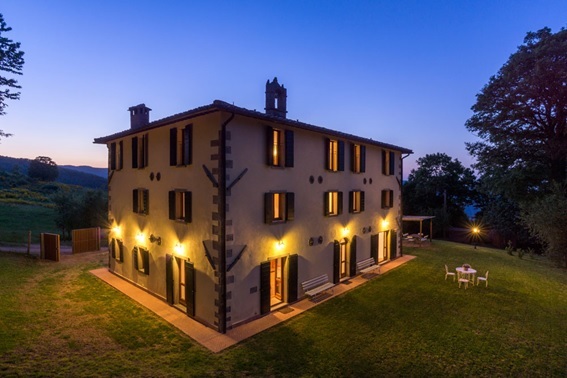 The hotel Antichi Mulini is located in an old windmill in open countryside, surrounded by greenery and overlooking the sea. Furnished in typical Sicilian style, warm, welcoming and frescoed with G. Mattò’s “Mattanza” paintings. The large room exhibits objects and memories of the restaurant itself and the traditional Sicilian culture. 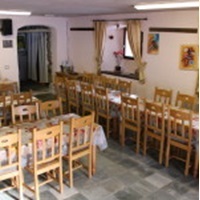 The typical Sicilian cuisine of the Antichi Mulini restaurant is based on fresh fish catch with traditional recipes and excellent typical wines from the rich cellar of the restaurant. The restaurant “Antichi Mulini” offers tasty themed nights often enlivened by the live traditional Sicilian music. The rooms are cleaned every day and they are provided with tv set, air conditioning and fridge. 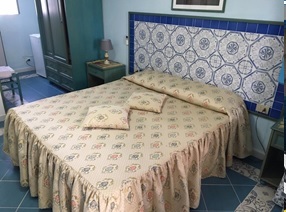 Every room is provided with bathroom and shower and can be arranged with twin or double beds as requested. The island is often referred to as La Farfalla on account of its shape which has been likened to a butterfly a-flutter over the blue sea. Its proper name is in fact derived from favonio, the prevalent local wind, although in Antiquity, it was known as Aegusa. In more recent times, the fortunes of the island have been inextricably linked with the Florio family (see MARSALA) after they invested in a tuna fishery here, down by the harbour, where a prominent tower still marks the skyline. 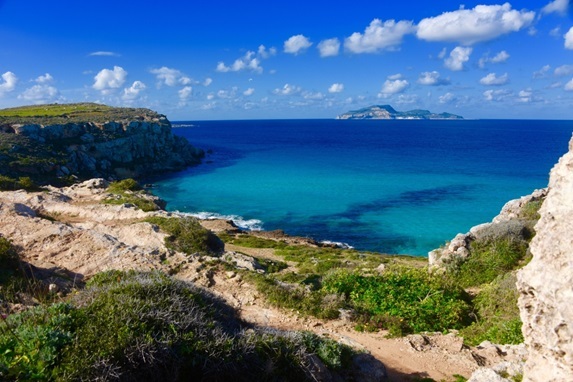 Favignana covers an area of about 20sqm. 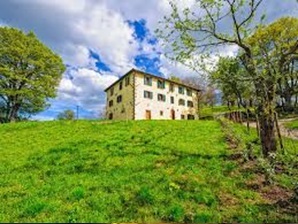 The west “wing” is dominated by Montagna Grossa which, despite its name, rises to a mere 302m. The eastern part of the island, on the other hand, is flatter and harbours the island’s main town. The jagged coastline is interrupted, here and there, with short stretches of sandy beach. This is the largest protected marine area in Europe where large prairies of poseidon, as a large submerged tropical forest, provide a valuable habitat for the reproduction of many species of fish, a great variety of resident and migratory birds, extraordinary cetaceans, Caretta Caretta sea turtles and less sporadically the rare Monk Seal. Visit the numerous caves along the coast accompanied by the localk fishermen. Contemplating the sunset from “Punta Sottile” or enjoy the the panorama from the Castle of Saint Caterina. Visit the museum of sea shells. Visit the archeological area of San Nicola. Visit the Island by bicycle or on the back of a donkey. Enjoy shopping and taste the local delicacies. 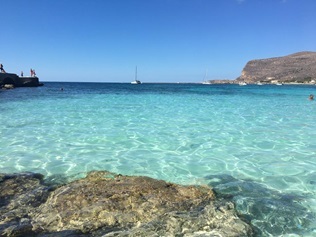 Favignana, according to a TripAdvisor recent survey, is been rated as the third most beautiful Island of Italy and in the top ten of all of Europe. 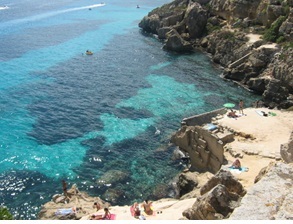 Cala Rossa is been voted second most gorgeous beach in Italy.